workmen had been talked of for some two or three months by the directors, Messrs G. Blunt (chairman), B. H.
Checkland, and G Spencer, and at a directors’ meeting four weeks ago, they gave orders to their Stanley manager, Mr F. M. Brown, to proceed with the work. Plans had been drawn, and without seeking outside help the Stanley Colliery staff set about constructing an open air bath of very considerable dimensions. Mr Brown received the assistance of Mr Joseph Hartley, the engineer of the pit, and under the immediate superintendence of the latter, the work has proceeded so well and briskly that by the beginning of next week the whole of the structure will be practically complete. The work is well advanced. The swimming bath was complete, and carpenters were busy fitting up the forty dressing boxes which line three sides the tank. The work throughout looked thoroughly substantial. No less than 50 tons of cement have been used, and the concrete is solid and well laid. The bath 61 feet x 25 feet, and the depth ranges from 2 feet 10 inches to 5 feet, with an iron rail on each side level with the top of the water. The water will be changed about three times each week. At one end are being built slipper baths and a foot and shower bath. Stanley pit a fine supply of excellent water. This enters about 120 yards down the shaft, and gives an unvarying supply of 300,000 gallons per day. With so bountiful a flow the company are able to supply the surrounding parishes with drinking water, and about three months ago put down a softening plant, by means of which they are able to improve the quality of the water. With these outside demands, and their own needs they can easily cope, and still have good supply left for the new baths. For the swimming bath the water will be pumped direct. 50,000 gallons being required to fill it, but for the slipper baths the softened water will be used. The water in the swimming bath can be changed by means of outlet and inlet pipes, and the temperature will be kept up to 70 degrees by introducing steam to the inlet pipe from the engine exhaust. When completed the baths will reflect the greatest credit on Mr F. M Brown and the colliery staff, and the employees of the company will be envied for the possession of such splendid recreative means. Miners black with coal dust will be able to enjoy a cleansing slipper bath, and then will be ready to enjoy the fuller pleasures of swimming bath, and practice diving from the special platform. At Stanley Colliery alone there are 500 employees and a large proportion of those engaged in the Mapperley pit live only about ten minutes walk from West Hallam Station on the Great Northern Railway. Though constructed for the benefit of the workmen, who will pay about 1’s a month each, the pleasure of the new bath will not be denied to outsiders. They will be admitted, at a small charge, probably the low sum of threepence per bath —slipper or swimming bath both. Wednesdays will be set apart for outsiders only, and from five o’clock till dusk on Mondays ladies will have the privilege of monopolising the baths. 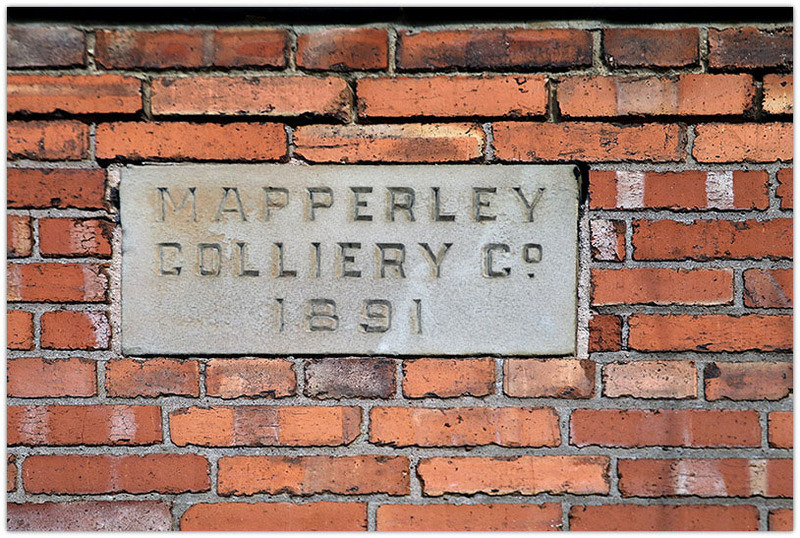 It is expected that the baths will be in use winter and summer alike, and the enterprise of the Mapperley Colliery Company will be appreciated in a neighbourhood where good facilities for learning the art of swimming are few. The bath is one minute's walk from West Hallam Station, and Ilkeston swimmers especially, having regard to the lack of provision in their town, will find the well-equipped Stanley baths easily access. Some interesting ceremonial and speech making marked the opening on Saturday afternoon of the splendid new swimming and washing bath constructed at the Mapperley Colliery Company close to their Stanley Pit at West Hallam station. Besides the guest’s specially invited by the company, there was a large attendance of the general public from Ilkeston and the district around, and hearty congratulations were showered on the directors and officials of the company on the smart appearance of the baths and on the celerity and efficiency with which the work had been carried out by the workpeople of the firm under the direction of Mr. F. M. Brown, the manager at Stanley Colliery. A special road had been constructed from the high road across a field and by means of this the visitors gained access to the Company’s water softening and pumping works, and at half-past three gathered round the door leading to the bath enclosure. Mr. G. H. Blunt, the chairman of the Company, addressed those present. He said it was only five weeks since their energetic friend, Mr. Brown, received orders to construct the baths, and their first words of thanks should be to him for the expeditious manner in which he had completed the work. The swimming bath was 61 feet long, 25 feet wide, and 5 feet 10 inches at the deepest end. Their thanks were also due to the workmen who threw their hearts into the work and assisted Mr. Brown to the utmost in order to get the baths completed before the summer ended, so that they might be enjoyed during the hot weather. No one could deny that it was a really good piece of work done in quick time. The swimming bath would hold 45,000 gallons of water. They had to spare there, pumping every day, some 200,000 gallons, that they could fill and empty the bath four times during the day and keep a constant stream of fresh water running through it. They had arranged that the waste steam through a pipe should meet the water as it came into the bath and by this means they could heat it up to 70 degrees, or more if necessary, in the winter time. In addition to the swimming bath, they had two or three slipper baths and a shower bath and the water for these latter baths were softened. The water supplied from their works to the villages around passed through the softening tank. They had a plentiful supply of water which had been running to waste for a considerable number of years, and had been a source of considerable trouble. It had been a great expense to them when sinking the pit, and had been expensive ever since, but now they had found a use for it. The new baths were close to West Hallam station, so that not only people in the immediate neighbourhood might have the advantage of them, but they were easy to access from Ilkeston, and the company would be only too glad to see anyone who liked come from Ilkeston to have a swim. These baths would give the men of the neighbourhood a healthful recreation and the opportunity of acquiring a valuable accomplishment. Mr. F. M. Brown, in the name of the workmen of the colliery, handed to Mr. Blunt handsome silver gilt key with which to unlock the door leading to the baths. The key had a fluted barrel, and the heavily chased head was surmounted by a crown. The ornamentation on both sides was modeled in bold relief, with inscription shields. On one side it read “Presented to G. H. Blunt. Esq. by the officials and workmen of Stanley Colliery.” On the other side the inscription was “Swimming Baths opened on August 15th, 1908.” The key was supplied by Mr. R. H. Turner, of Ilkeston. Mr. Blunt, who was taken by surprise, returned thanks for the handsome present and immediately unlocked the door of the baths. He passed through and was followed by the rest. Among those present, in addition to Mr. Blunt, were Mr. G. Spencer (Stanley Lodge), director; Rev A. E. R. Bedford (rector of West Hal lam). Rev C. E. Lane (Vicar of Mapperley). Dr Lundy (Smalley), Dr Dobson (Ilkeston). Aldermen R. Hunt and S. Robinson. Councillors W. Shakespeare, F. Chambers and A. Henshaw (Ilkeston), Mr. J. Welker (chairman Heanor Urban Council), Mr. E. Truman, C.C., Messrs. F. M. Brown (manager of Stanley Colliery), A. T. C. Savage (Shipley), P. M. Chester (Ilkeston Colliery Company), Ratcliff (Cossall Colliery Company), Nightingale (Oakwell Colliery), W. Beckett (Manners Colliery), G. Brown (Trowell Moor Colliery). J. Harvey (Dale Abbey Colliery), C. Simms (Shipley Coppice Colliery), W. Hardy (Shipley Kilburn Colliery), J. Orrill (under-manager Oakwell Colliery), Blunt (under-manager Simon Field Colliery, Mapperley), J. Holbrook (surveyor the Heanor Urban Council), Supt. Daybell (Ilkeston). A. Ogden (Digby Colliery Company), H. E. Cox (Ilkeston Co-operative Society), Jas. Martin (President of the Derbyshire Miners’ Association), B. Kenyon (Secretary Derbyshire Miners’ Association), Frank Lee (Derbyshire Association), W. Barber (West Hallam), J. E. Cox, W. C. Ironmonger, S. Greenhough, A. J. Worrall and Blesdale (Ilkeston). W. J. Potter (Stanley), E. Raby (West Hallam) and others. The baths looked very inviting. The swimming bath was surrounded by forty comfortable looking dressing boxes painted in suitable tones of slate grey and green, and at one end was 'a high diving platform and the other the conveniently fitted up slipper and shower baths. The place was very gay for the opening ceremony. Flowers and pot plants were used with great effect, and ornamenting the diving platform was a crown of flowers. The visitors completely surrounded the bath, and the exhibition that followed by members of the Nott’s Swimming Club, under the direction of Mr. R. Baldwin (manager of the Nottingham Baths) was thoroughly appreciated. The swimmers included G. H. Carlisle (champion of Notts.) F. Gadsby, the champion one-legged swimmer of the world. Davis, a swimmer from the Stadium, and Holt, the champion schoolboy, of Nottingham. The exhibition consisted of life-saving demonstrations, various styles of diving, floating and swimming, novel feats, team races, a race between Gadsby and a one-armed swimmer, and a polo match. The bath was then thrown open for ordinary use, and was thoroughly well patronised until dusk. The invited guests, at the close of the swimming exhibition, adjourned to an adjoining marquee, where they sat down to a meat tea provided at the expense of the Mapperley Colliery Company, by Mr. Denson, of Ilkeston. Mr. G. Spencer presided, and at the close some interesting speech-making was indulged in. Ald. Hunt, on behalf of the contingent from Ilkeston, said the Mapperley Company had come to the rescue of the district in the matter of providing a water supply. In addition that many present knew the generous spirit which the Company had manifested towards their workmen. A great change had gradually come over the spirit of the management. It had permeated the works and very largely entered into the comforts of the people. The latest venture of the company of providing baths was a novel one. In Ilkeston during the twenty years which covered his experience as a public man they been discussing the question of how to provide public baths, but there had been in the past a difficulty to good water supply. There were other questions that prevented them carrying out a necessary scheme like this. In a colliery district and in towns where people worked hard for their living, public baths were a great necessity, and the privilege of learning to excel in swimming was more likely be of greater use for coming generations of men. He desired, on behalf of the people of Ilkeston and of those in that tent, to thank the Company for the privilege of being present. He hoped the baths would properly utilised and valued, and, as there was no such accommodation in Ilkeston, he hoped the people there would avail themselves of the conveniences provided. He would like to see the time when every Colliery Company would see that such provision was not merely useful and healthful but profitable. There was benefit to be derived from such schemes far beyond money value. They were beneficial for the health of the people, and the reward of those interested in these schemes lay in their success. He hoped every success would attend the efforts of the Mapperley Company. Mr. B. Kenyon said was glad to have lived to see the time when a strong organisation like the Derbyshire Miners’ Association could meet in the company of so many Colliery managers and men deeply interested in financial ventures and be apparently aiming at one end, the general uplifting of the whole the people of the great country to which they belonged. There was a time when they were bitterly antagonistic, and he regretted very much in those years the very hard things that were said both sides Now, they had grown stronger, instead of their society being a menace capital and colliery owners generally they had become practically the allies of every manager and company. He was glad of that because looking at life broadly they would have to struggle together to keep their country in the forefront commercially of the nations of the world. He was pleased to see managers and directors becoming not only interested in the men from a wage and safety point of view, but taking steps to make their social life better and happier. To provide these baths and throw them open to the young miners of that small village was a thing they would never have dreamed of twenty years ago. The baths would tend to improve the physique of the workers upon which the country depended very really. Miners had felt that their lives had been short of something, for they had no bathes in their houses. The company had done one of the greatest things possible for the comfort of their men, and they would very soon find the health of their employees improved. The men would not neglect the opportunity of maintaining that health which cleanliness alone could possibly preserve. Mr. Brown returned thanks and said the workmen a penny a time for the use of the baths or one shilling per month, and if the company could afford to do so they would reduce the price even further.